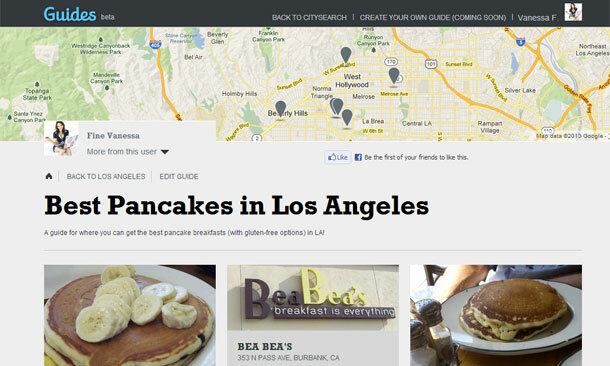 Discover LA, the official tour guide for the city of Los Angeles, asked Ma’amCakes to write a feature on the best pancakes in LA – check out the feature here! When parking my car on S. Corning St. one summer Sunday morning, never did I think the Guest Review I was about to embark on would be so sweetly serendipitous. 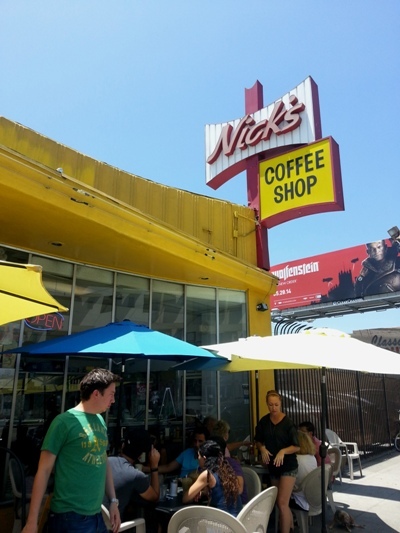 Upon choosing a restaurant to bring my co-worker, Senior Vice President of Talent & Brands at ID-PR, Bebe Lerner, I thought it would be ironically adorbs to introduce Bebe to my favorite pancake spot in LA, Bea Bea’s. 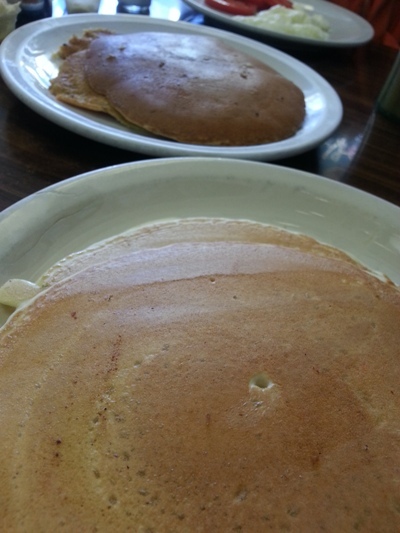 However, as I’ve reviewed half the pancakes there already (and after discovering Bebe & I are Miracle Mile neighbors), I took my fellow blogger Beauty Frosting‘s suggestion and hit up local diner Nick’s Coffee Shop & Deli. As we were walking down the street at the same pace, a man approached me and asked if I was going to Nick’s. “Yes,” I replied, “…are you?” “Why yes I am,” said the man, “in fact, I own it!” To my surprise, owner Alan Love then proceeded to walk me in to Nick’s, introduced me to the staff (including his granddaughter, also named Vanessa! ), and seated me at a primo table. Alan informed me that while the space has been there since 1946, he purchased the diner in 1996, and his children & grandchildren all work there; in fact, the slogan on Alan’s business card reads “Love at First Bite!” As a pancake-blogger, I can certainly attest, you can’t go wrong with that phrase. After then introducing Bebe to Alan, Bebe and I were finally ready to take a gander at the menu, and catch up. 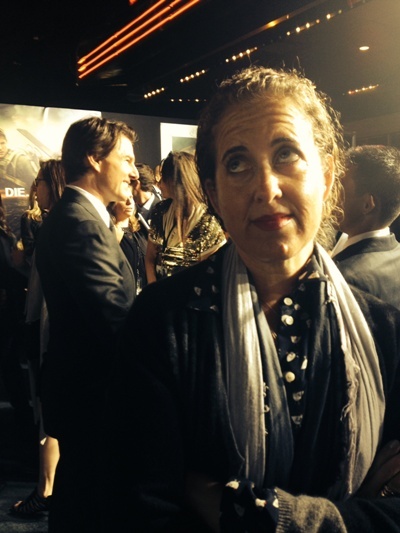 Having worked in the Industry for over 20 years, Bebe Lerner has made quite an ID for herself in the world of entertainment. Prior to joining the publicity realm, Bebe was a feature film and television packaging agent at ICM, where she worked with many of the industry’s top producers, writers, and publishing houses. Working at ID-PR for over 10 years, Bebe’s current client roster includes Cameron Crowe, Chris Columbus, Emily Blunt, Kevin Williamson, Wes Anderson, Michel Gondry, Veronica Roth, Rian Johnson and many, many more. In fact, just sitting at the breakfast table learning from Bebe, hearing Industry tales and discussing creative pitching, I realized that perhaps for the sake of this review MY last name should be hyphenated to Fine-Lerner, and hers should just be: Sensei. 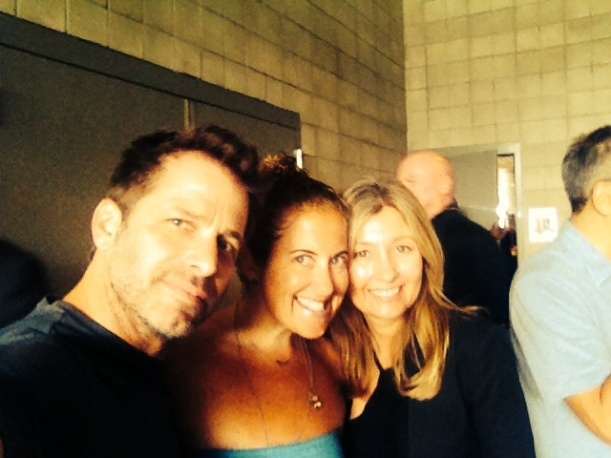 Bebe with Writer, Director, and Producer Zack Snyder (of Man of Steel, 300, Batman Vs. Superman: Dawn of Justice) and wife Deb Snyder, also a Producer of Man of Steel. 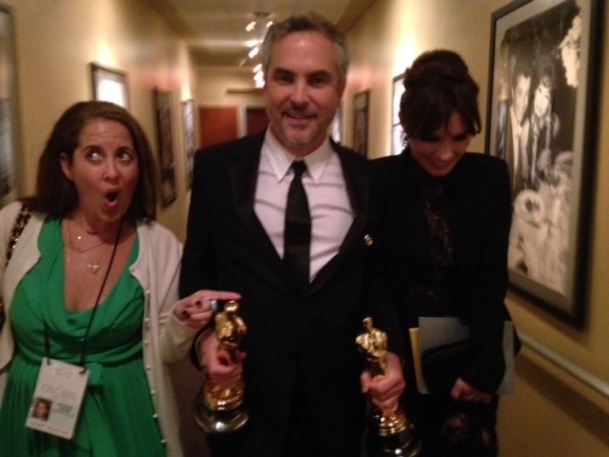 Bebe doing an Oscar Victory Walk with Gravity Writer and Director Alfonso Cuarón. 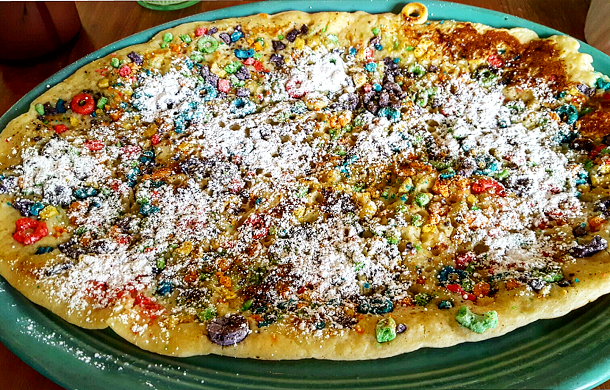 Bebe and I ended up ordering the Corn Bread Pancakes, Honey Wheat Pancakes with added bananas, and the M&M Pancakes, all to share. Figured we’d try as many as we could, all in one shot; although you’d think it was our Last Breakfast! While Bebe liked the Honey Wheat Banana Pancakes, her favorite were the Corn Bread as it’s a rather unusual menu option, and she enjoyed the texture. 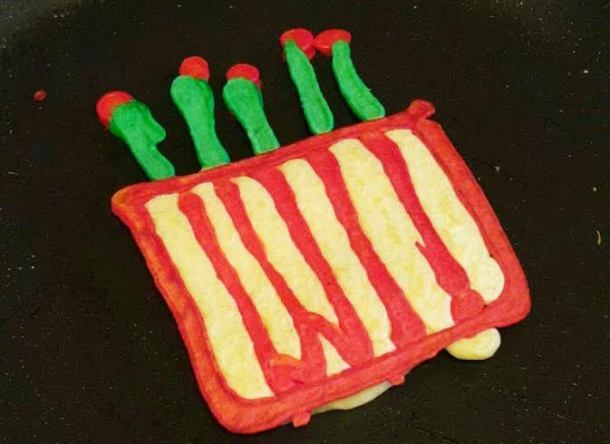 My personal favorite were the M&M Pancakes, although they were a bit dry, and could use another egg. 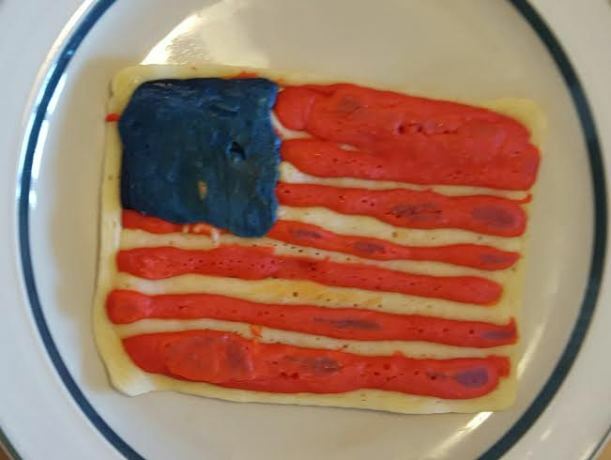 When asking Bebe for her final thoughts, Bebe mentioned that the pancakes would have been better with something like homemade strawberry syrup – something with more flavor. 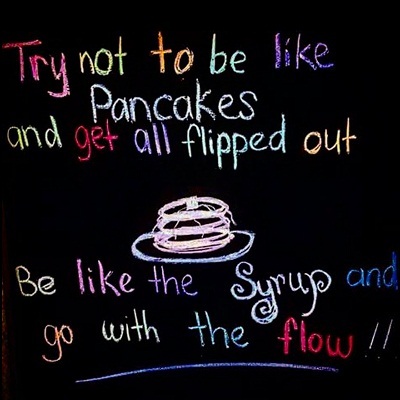 She would also like smaller pancakes, with more flavored-options. Think samples. Alan Love, you listening? 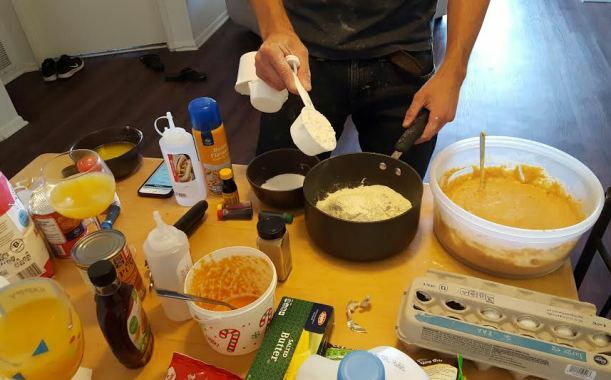 Turns out, Bebe actually makes her own delicious chocolate chip pancakes (my favorite kind), and she’s experienced eating pancakes from all over the world! 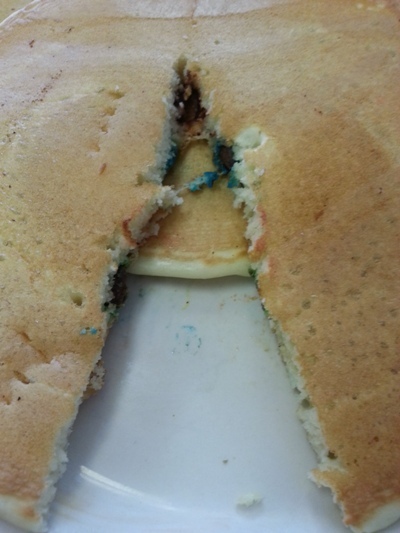 “Brazil had really good pancakes. 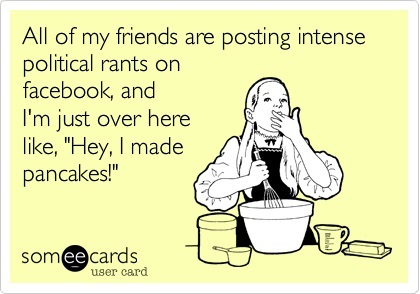 Kenya, amazing.” I guess Ma’amCakes might need to go global… Madame Pancakes, perhaps? Thank you so much Bebe for being a part of Sunday brunch with Ma’amCakes! Be sure to look for Bebe, and all of her uber talented clients, during the 2014 Awards Season! 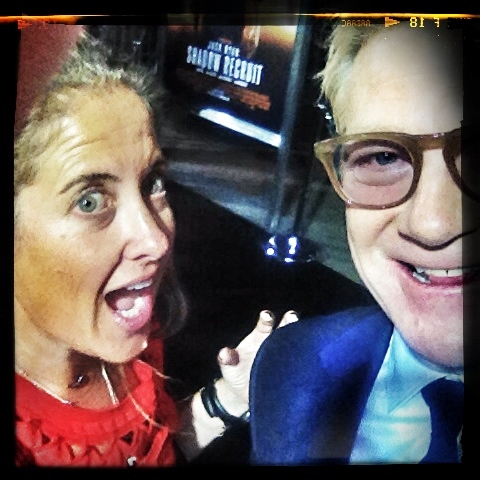 Bebe with Actor, Director, Producer Kenneth Branagh of Frankenstein, Hamlet, and Thor. During my time in New York, I was incredibly fortunate to have Singer/Songwriter Victoria Shaw join me as a Guest Reviewer for Ma’amCakes! 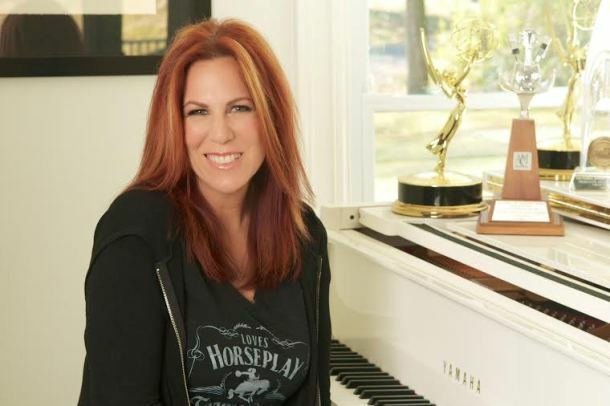 Victoria, a two time Emmy-award winning Songwriter, has written many hits such as “The River” for Garth Brooks, and “Nobody Wants to Be Lonely” for Ricky Martin & Christina Aguilera. 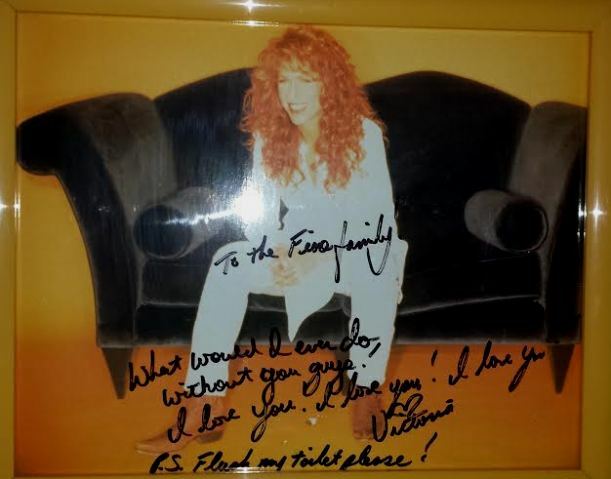 In addition to these artists, Victoria’s songs have been recorded by Billy Ray Cyrus, Faith Hill, Olivia Newton-John, LeAnn Rimes, Reba McEntire, Tricia Yearwood, Michael McDonald and many more, and have collectively sold more than 65 million albums! 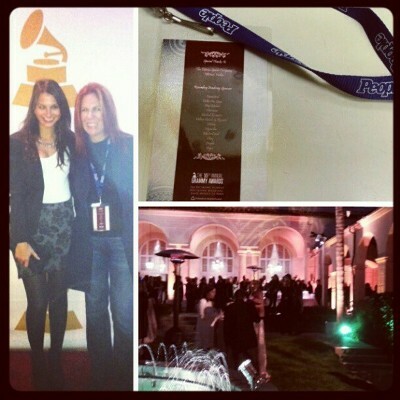 In fact, last February, I was lucky enough to be Victoria’s date for a 2013 Grammy Event! 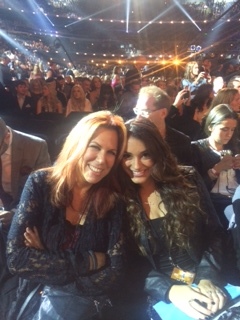 While Victoria currently resides in Nashville with her husband Bob Locknar and their two fabulously talented daughters, Victoria also happens to be my parents’ neighbor! When in NYC for work (and sometimes for fun! ), Victoria lives down the hall from my parents. Our families have spent a lot of time together, but the funniest memory I have with the Locknars (which wasn’t so funny at the time), was the night we had to stay at Victoria’s apartment due to construction in our apartment, while Victoria was simultaneously going into labor with Ruby. Needless to say, we’re not known for our timing! 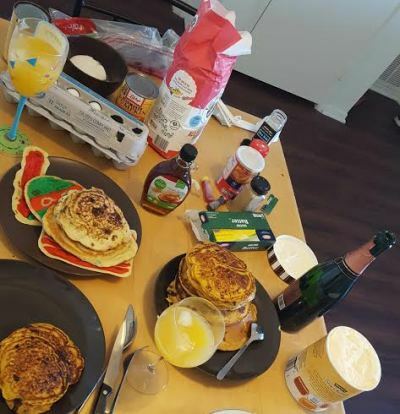 When Victoria and I finally got to sit down for pancakes, it was quite a treat! As The Flame is one of Victoria’s (as well as her daughters’, and my grandfather’s) favorite diners in New York, we went as a group on the last Friday of 2013. To ring in 2014 with a healthy start, Victoria and I decided to split the Multi-Grain pancakes, served with fresh bananas and strawberries. 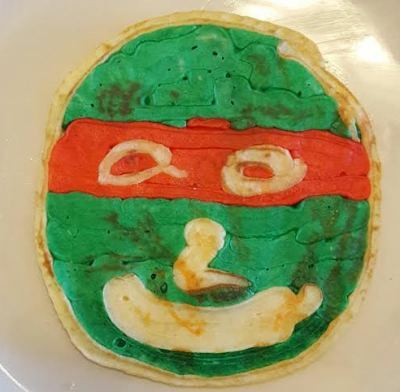 I have to say, for typical “Diner Pancakes,” these tasted pretty good, and surprisingly fresh. 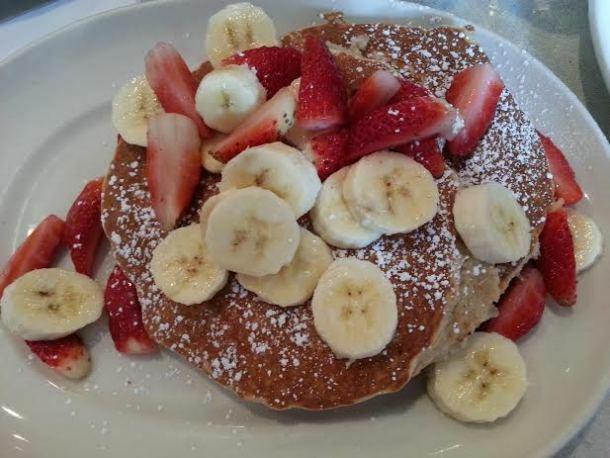 Victoria agreed, as she said “these are meaty, but not doughy.” Between the multi-grain batter, and the deliciousness of the bananas and strawberries, we definitely felt like we were eating a healthier breakfast – not something you can frequently say for a diner! 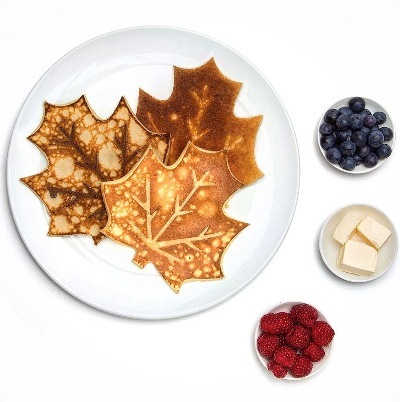 “I’m not really a pancake snob,” said Victoria (ahem, like some people! ), “but these taste like my mom’s kitchen comfort food – that is, if my mom cooked!” Well, maybe after that comment she’ll start cooking! When asking Victoria which pancakes she would order next time, her reply was “Whole Wheat.” Keeping it healthy, I like it! Thanks so much Victoria, for being a part of Friday brunch with Ma’amCakes! Be sure to check out Victoria’s latest artist whom she’s taking under her wing, singer Lacy Cavalier. So Grateful for All the Yelp Compliments! 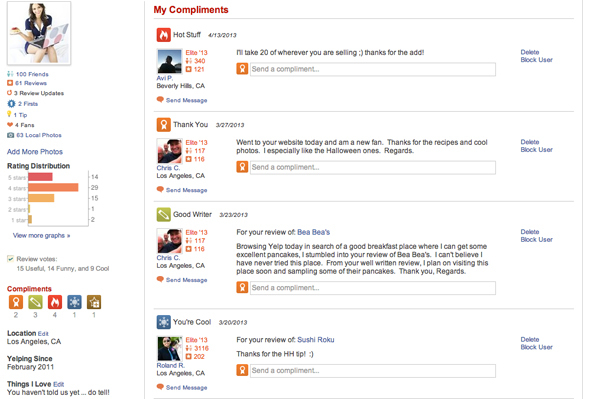 HUGE thank you to my FanCakes on Yelp for all of the wonderful compliments; I am so appreciative! 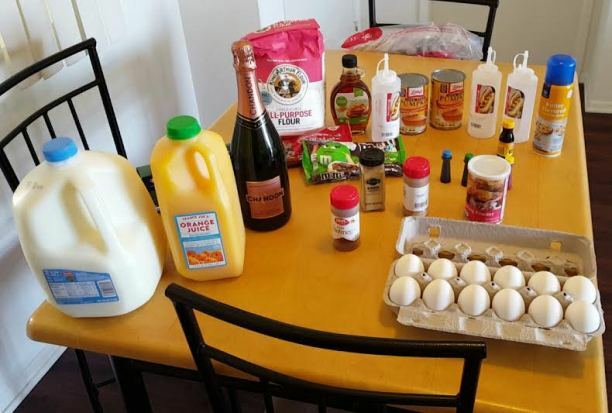 I consider WSR a SoCal Expert for apartment hunting – so honored they consider me an Expert for pancakes! Check Out My First Citysearch Guide on (What Else?! 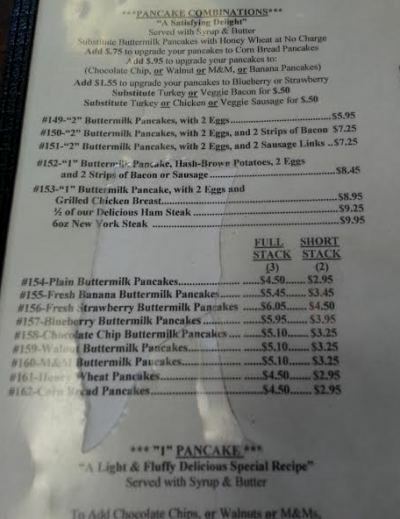 ): The Best Pancakes in LA! Did your favorite spot make the list? (Once you click the link, be sure to click the “Guide Tab”) AND keep in mind, I can always add to the list…!